LOS ANGELES, CA / ACCESSWIRE / September 13, 2018 / Crypto Invest Summit, StartEngine Summit, Women of Crypto, Expert Dojo, UCLA, and USC have come together to announce Los Angeles' first Blockchain Week happening on October 19th-25th. They are offering a pass that gives access to ALL official LA Blockchain Week events at one low price at LABlockchainWeek.org. Every Crypto Invest Summit at the Los Angeles Convention Center, thousands of investors and entrepreneurs from around the world flock to Los Angeles to meet and make deals. This time around, for their October event, Goren and Holm met with other local event organizers, entrepreneurs, investors and educators and in a truly collaborative fashion, decided to plan a whole week's worth of conferences and activities related to blockchain and cryptocurrencies. Adam Levy, Co-President of USC's Trojan Blockchain Society, mentions, ''It's great to see everyone cross-collaborate with each other and the overwhelming passion for contributing to Los Angeles's innovation footprint. LA Blockchain Week is bound to be one of the most informative weeks our community has ever encountered in this space.'' Howard Marks, CEO of StartEngine Summit, added, "Los Angeles Blockchain Week will be a major event for the crypto marketplace bringing together all of the leaders from around the world." ''We envision USC at the forefront of blockchain tech, so we couldn't be more thrilled to promote education in this space even further by partnering with LA Blockchain Week,'' said Daniel Aghachi, Founder and Co-President of Trojan Blockchain Society. '' Trojan Blockchain Society encourages adoption through collaboration, therefore partnering with these high-impact series of events to ensure our community receives quality content and the best career development opportunities is a no-brainer,'' added Adam Levy, Co-President of Trojan Blockchain Society. Some of LA Blockchain Week's incredible speaker lineup includes Steve Wozniak from Apple, investor Tim Draper, Rodney Sampson from Opportunity Hub, Crystal Rose from Sense, Former SEC Chairman Christopher Cox, Nadia Hewitt from World Economic Forum, David Bleznak from Totle, Amanda Gutterman from ConsenSys, and Matt Leisin from Bloomberg. 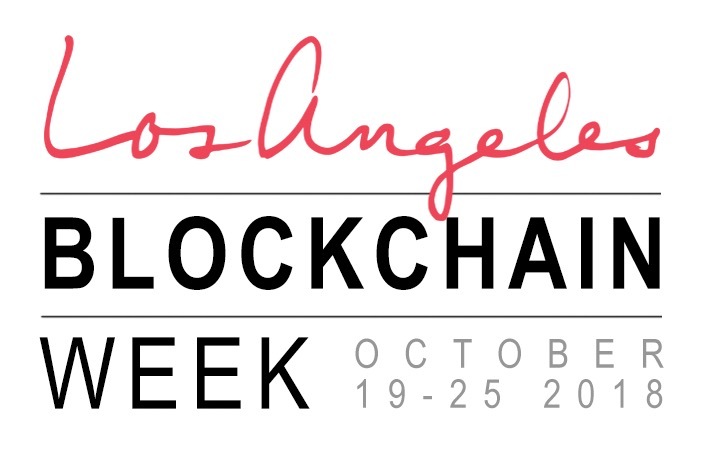 Los Angeles Blockchain Week is a collaborative effort of the Los Angeles Blockchain and Cryptocurrency community to create a week-long program of events including Crypto Invest Summit, StartEngine Summit, Women of Crypto, UCLA Blockchain Lab and USC's Trojan Blockchain Society.